The list below includes free online textbooks and review articles in Allergy and Immunology. The files represent external links and are not hosted on this website. 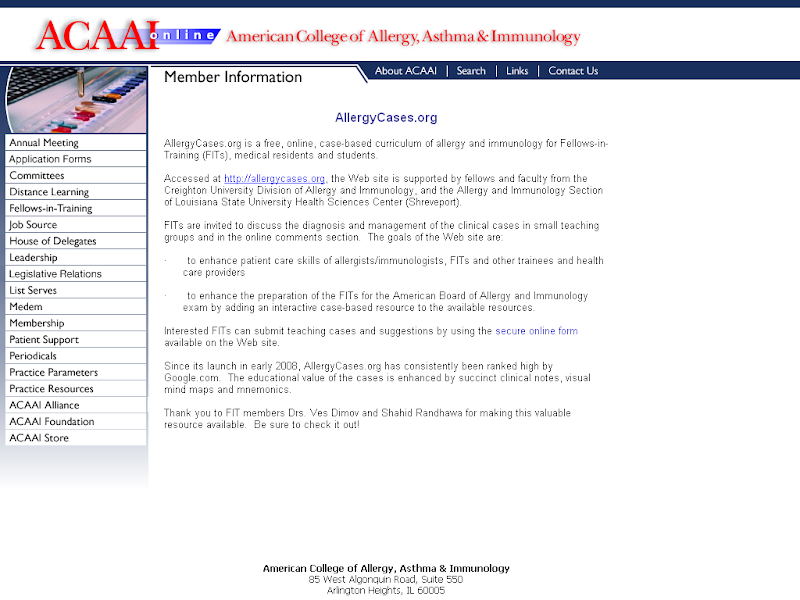 Practice Parameters for Allergy and Immunology, AAAAI, ACAAI, JCAAI. Practical guide for allergy and immunology - open access review articles. CSACI, 2011. Conferences On-Line Allergy (COLA) - free video lectures on allergy and immunology topics, also available on YouTube. ACAAI. Care pathways for children with allergies. Royal College of Paediatrics, Archives of Disease in Childhood, 2011. Fellows-in-Training: Review Corner Archive, 2002-2009. ACAAI. Free Lectures and Podcasts by JACI, WAO, etc. Program Directors' Core Curriculum and Reading List (PDF). AAAAI, 2009. A/I MKSAP by AAAAI, 2003 (PDF, 29 MB) (some parts are outdated). Free textbooks from MerckMedicus.com (requires registration): Middleton's Allergy: Principles and Practice. Allergy and Asthma Proceedings. Northwestern University Allergy-Immunology Syllabus. Immunology; Allergic Disorders in Merck Manual. Allergy and Immunology in eMedicine Medical Textbooks.